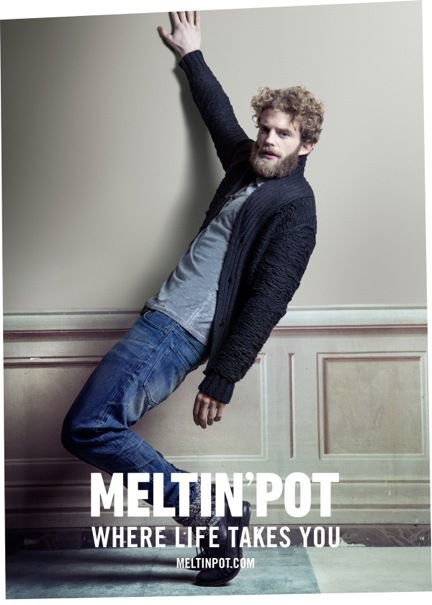 The new Meltin’pot jeans campaign/look book for the fall winter ’13 season ahead is a pure celebration of the double-edged side of life. Taking the left instead of the right and seeing life from a different perspective is something we fully embrace. 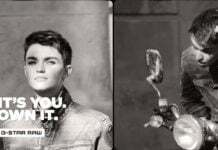 Meltin’pot makes denim for real people who share the brand’s passion and who live life to the fullest- where life takes you! 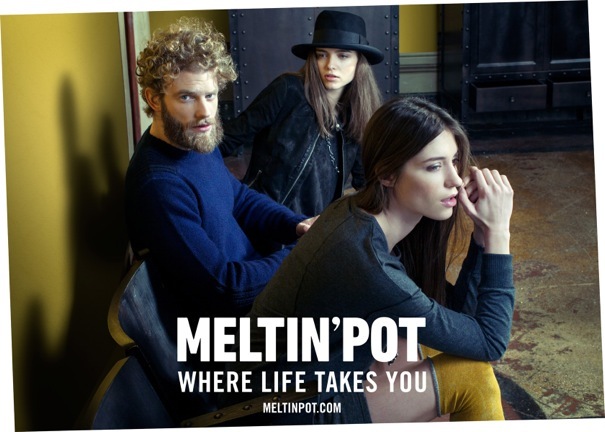 Meltin’pot, season upon season, presents fine examples of pure tailored modernism of distinction. This season sees the re-launch of the iconic – b- side jean – an historical model for the brand, first launched back in 1994. When the brand was created, as denim aficionados will well remember. B-side for both men and women [is] made from a single piece of fabric and is totally reversible. One jean and 2 totally different looks and the collection also boasts a series of reversible tops too. 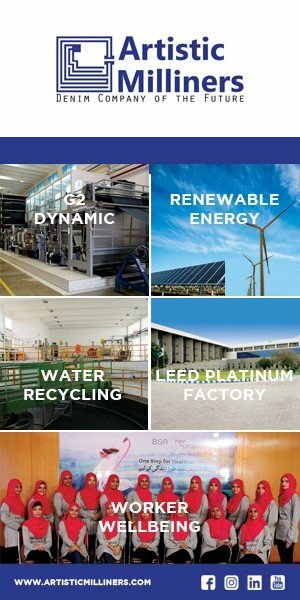 B-side is another example of the brand’s ability to successfully combine expertise with contemporary innovation. The campaign and look book were shot in Florence by Italian photographers Flavio and Frank, in an off-the-wall, bohemian location and play with this asymmetric style, featuring shots positioned at a irregular angles. 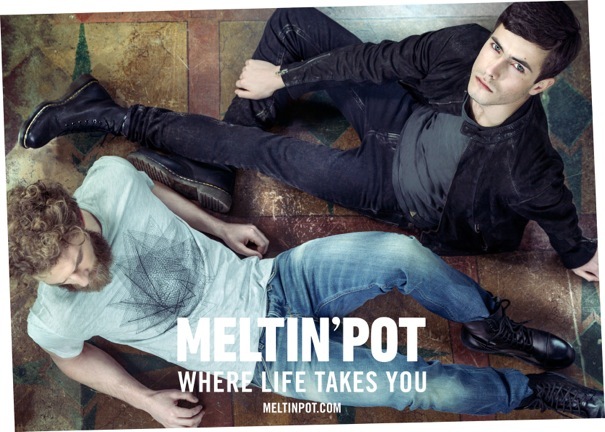 The models used represent real life fans of Meltin’pot and bring alive the energy of the brand and its perspective on life. The new collection will be in store from September in fine denim stores internationally. We will post separately about those b-side jeans ASAP, they are truly awesome!